PORTLAND, Oregon (Oct. 19, 2017) NUNM proudly announces two new Chairs in the School of Graduate Studies. Doug Hanes, Ph.D., has assumed leadership as the Chair of the Master of Science of Integrative Medicine Research program. 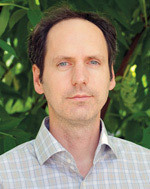 Dr. Hanes completed a Ph.D. in mathematics at the University of Michigan in 1999. Before joining NUNM, he served for three years as an Assistant Professor of mathematics at the University of Minnesota in Minneapolis, and six years as Research Associate at the Legacy Clinical Research and Technology Center in Portland, Oregon. His past research focused on vestibular (inner-ear) and balance systems, and the integration of sensory signals for human orientation and control of movement. Since joining NUNM in early 2012, Dr. Hanes has contributed to a wide range of faculty- and student-led projects, contributing to study design and analysis of data. He is a respected member of the Scientific Review Committee, the NUNM Vanguard faculty program, and other college-wide committees. Kirsten Wright, ND, MS, joins the School of Graduate Studies as the Chair of the Master of Science in Integrative Sports Medicine program. Dr. Wright received her Doctorate of Naturopathic Medicine and her Master of Science in Integrative Medicine Research from NUNM in 2014. Her thesis work focused on complex botanical medicine questions, such as herbal synergy.In her thesis, she emphasized the need to make research applicable to clinical practice. Beginning in 2015, Dr. Wright completed a two-year residency in integrative medicine at Today Integrative Health and Wellness (TIHW), and RestorePDX (RestorePDX) Interventional Spine and Sports Medicine, both in the Portland metropolitan area. At TIHW, her focus was on integrative primary care, advanced intravenous nutrient therapies, and functional medicine; while at RestorePDX in 2016, she focused on musculoskeletal diagnostics, sports medicine and regenerative medicine. As a resident, she also participated as a clinical investigator in trials studying alternative approaches for pain. After residency, Dr. Wright was awarded a National Institute of Health funded post-doctoral fellowship with the Oregon Center for Complementary and Alternative Medicine in Neurological Disorders at Oregon Health and Science University to do translational studies of botanical medicines. 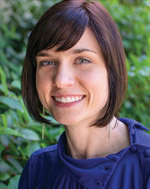 Dr. Wright is currently investigating botanical therapies for the treatment of cognitive decline and Alzheimer’s Disease at Oregon Health and Science University, where she is also pursuing a master of clinical research through the Human Investigations Program. NUNM congratulates our new Chairs who will continue to establish the rigorous academic standards for which NUNM’s School of Graduate Studies is known.